Have you ever wanted to rule the whole airport? You have that chance now. 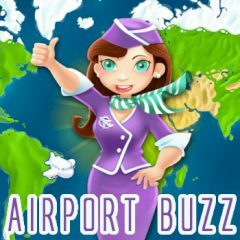 Take control of the Hawaii Airport and land all planes safely. Load the passengers and take off to continue the journey. We live in the time, when every airport on Earth is overloaded with planes and traffic. In the summer period Hawaii is the place, where people travel to have a rest and swim in the warm ocean. However, the life of the airport is not that easy as you think and it requires discipline. Make sure nothing will happen in your shift!